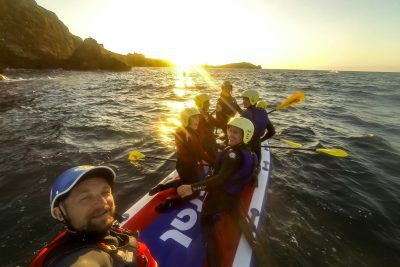 Newquay Activity Centre, based at Towan Headland close to Fistral beach, is a great place to head to if you want to try out some water based activities. ISA Beach Lifeguards and Surf England qualified instructors are on hand to tailor lessons to your needs, whether individually or in a group. Lessons usually take place with a ratio of 1 instructor to 5 pupils but the centre offers a variety of packages for beginners through to advanced learners. Family packages, group private lessons, stag and hen do’s and corporate events are also catered for. Open 7 days a week, all year round, the centre has won numerous awards and makes the most of the fabulous location. Based 100m from the famous waves of Fistral beach, several packages are available from taster lessons to experience days and private tuition. 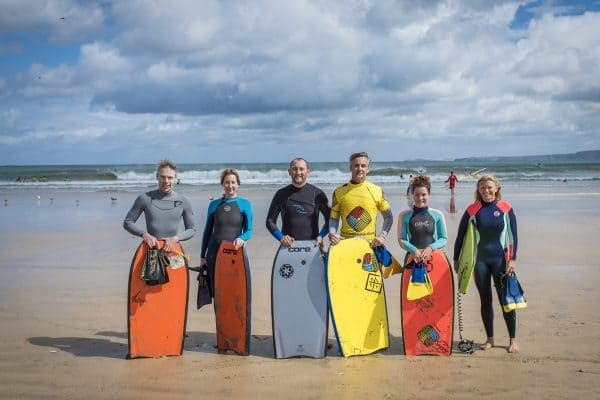 Suitable for all ages and abilities, teaching staff include British Team Bodyboard Coach, Robert Barber. Jump into plunge-pools, ride whirlpools, traverse the rocks and watch wildlife up close in this adrenaline filled activity. 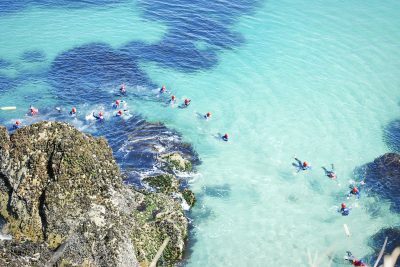 Learn how to kneel and stand up paddle on a giant board whilst navigating the craggy coastline.